The Glendale Show, due to take place on Bank Holiday Monday, will feature the largest showcase of livestock entered for many years. Organisers have announced the event, now in its 121st year, will include over 70 sheep classes and six cattle classes, as well as numerous opportunities for the next generation of farmers to get involved. 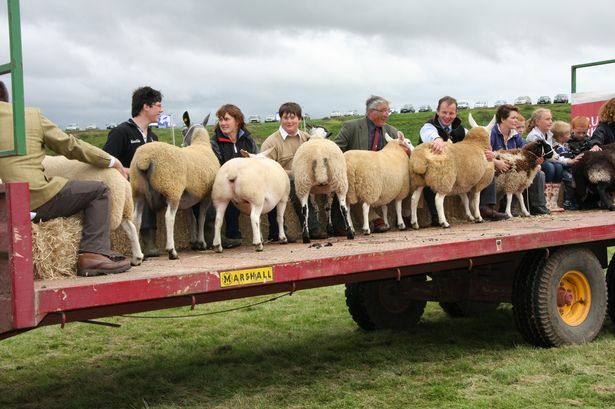 Held on the outskirts of Wooler, the show has long been seen as a true rural showcase, with livestock playing a crucial role from the start. For competitors, it represents an opportunity to display the area’s finest stock in the run-up to many breeding sales, and this year more than 400 head of livestock have been entered. In the prime lamb section, the Beltex Sheep Society will be supporting a class for lambs sired by Beltex rams, while Carrs Billington will once again award a prize for the most points overall. After proving a success on its introduction last year, the halter-led cattle section, will be repeated with even more classes. Glendale’s chief livestock steward Andrew Walton said entries were up in the category as well as in the sheep sections. “It is encouraging to see the classes so well supported,” he said. “The quality of stock entered is exceptionally high, with entries from some of the foremost breeders in the area. He added that another “key highlight”, held before the sheep interbreed sections, would be the young handlers competition. “We are seeing more and more of the younger generation coming to the fore, which is important as they are the future generation, responsible for taking the industry forward,” he said. Judging the young handlers, along with the main interbreed sheep classes, will be Eden Valley farmer, Rachel Buckle, while Craig Mallone, from Fife, will be the cattle judge. Selecting the overall champions, meanwhile, will be Chairman of the Royal Highland Show, Alan Murray. The Glendale show also has sections for many other animals, including horses, alpacas, donkeys and goats, which are especially popular with children. Other features include around 200 trade stands, industrial and horticultural competitions, speciality food, craft marquees, fell races, a fairground and a wide range of entertainment. Advanced tickets can also be bought on the website at discounted prices. Alternatively, visit the show office in the Cheviot Centre or Brands Newsagents in Wooler.